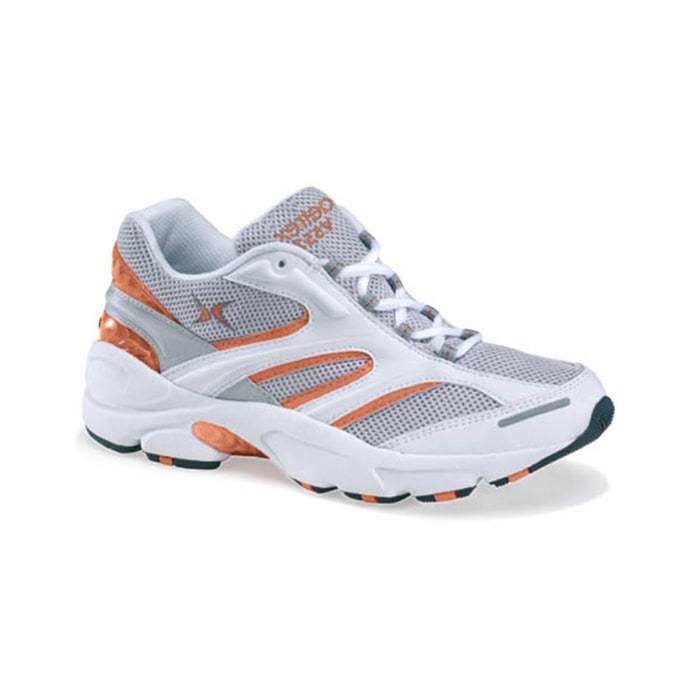 This Apex Women’s V557W Runner Red represents the highest standards in comfort and performance. These unique shoes provide the stability and shock absorption needed during high impact running activities. A lightweight, molded EGX™ footbridge reinforces the midsole and provides motion control while individual pods increase traction and stability. Also, the lightweight, removable Apex orthotics and Mozaic™ Customization Technology insoles provide optimum comfort and also helps absorb the shock created from running. V Last styles are recommended for those who have bunions, arthritis, diabetic feet, plantar fasciitis, or who need arch support, removable insoles, high/wide toe box, adjustability and stability.